While some manufacturers may have pinched the GTI badge for sporty versions of their hatchbacks, the fact is that there is only one true GTI - the Golf. 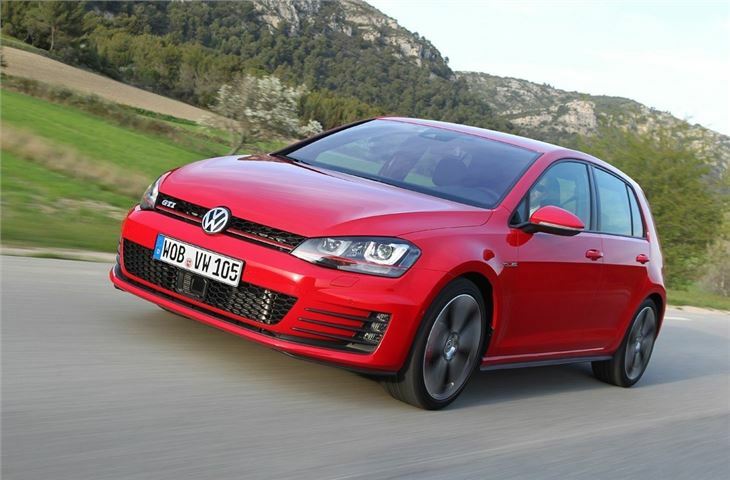 The seventh generation Golf GTI follows the now familiar formula with a turbocharged 2.0 TSI engine - increased to 220PS - a front-wheel drive layout and, we're pleased to say, those much loved checkered seats. Of course it's a very different car from the original 1976 Golf GTI but it's great to see that the GTI survived the doldrums of the Mk4 from the late 90s when there were some frankly terrible versions, the worst of which used a 2.0-litre engine with just 115PS. Not what you'd call fast. Fortunately those days are long gone and the Golf GTI is once again a bona fide performance machine. It looks the part too. The sharp lines of the new Golf lend themselves perfectly to the GTI and it sits lower with those lovely gloss 18-inch alloys now a GTI trademark bit of design. There are plenty of nods to the past with the red stripe across the grille that now continues across the headlights which are xenon as standard. At the back there's a tailgate spoiler and dual exhausts giving it a purposeful but understated look. It's the antithesis of the bloated and brash Astra VXR. 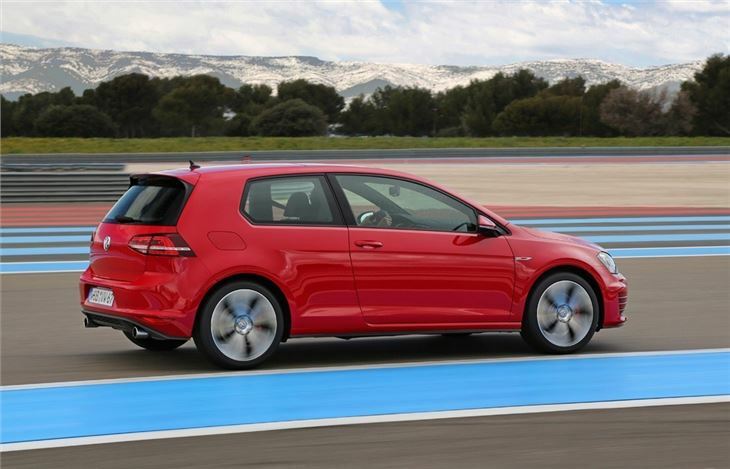 The interior combines the high quality of the new Golf with some nice touches including the checkered seats, red stitching on the lovely flat-bottomed steering wheel and of course the golf-ball style gear lever. It feels special from behind the wheel with superb fit and finish and a perfect driving position. Those sports seats provide excellent side and under thigh support too. Of course none of this hot hatch style matters if the handling doesn't match. 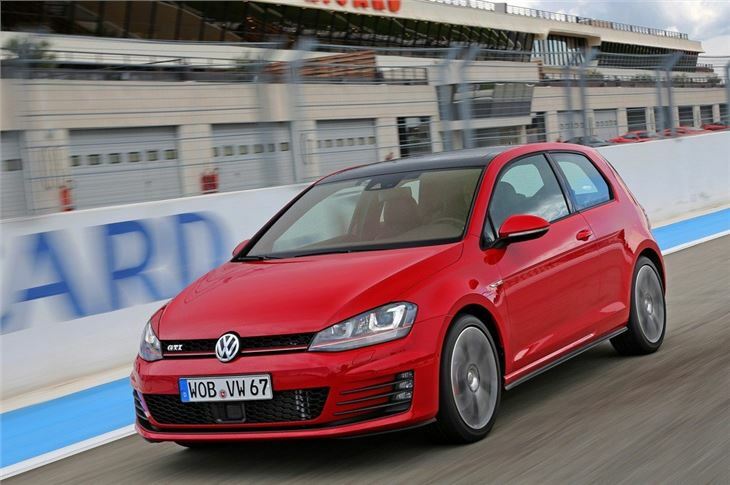 But there are no such worries with the Golf GTI. It's superbly balanced with wonderfully direct steering and flows through corners beautifully. It's not a car you need to be aggressive with, you can drive it smoothly yet quickly and still enjoy yourself. The worry with many front-wheel drive hot hatches is their ability to transfer all their power to road. 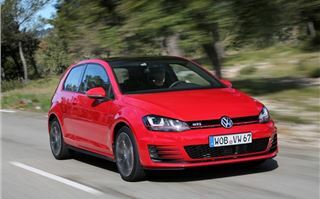 Cars like the Focus ST can struggle but the Golf GTI is so well set-up that you rarely feel it scrabbling for traction, even if you floor it out of a junction. But the best part of the GTI is without doubt the ride. It's unbelievably smooth and forgiving for any car, let alone a performance hatch like this. 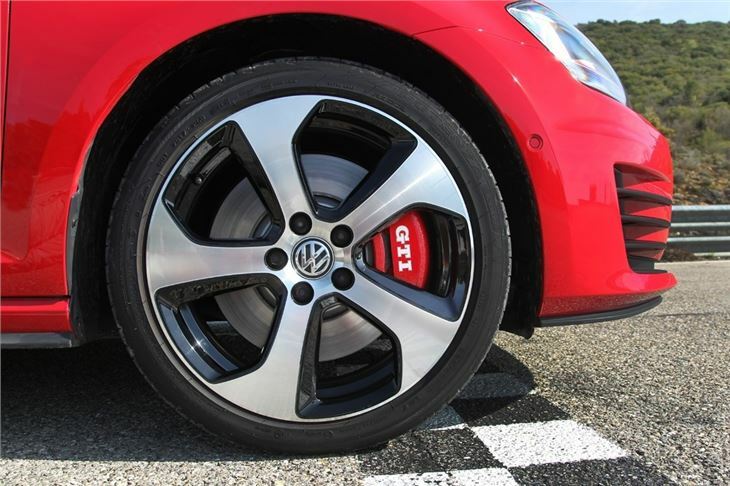 It means you can comfortably live with the GTI day to day and happily take the family out in it. That's not something you can say of all hot hatches. 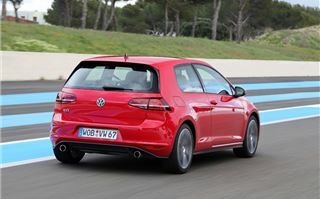 It will also happily cruise along the motorway at 70mph feeling as relaxed as a diesel Golf. 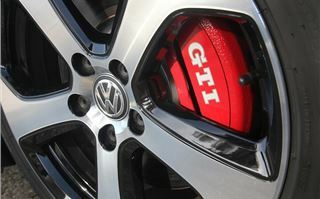 Don't think the GTI has gone soft though. It's still sharp in corners with minimal body roll and even when pushed it responds predictably and safely. It certainly inspires confidence from behind the wheel. Elements like the short gear change and precise clutch help, while throttle response is instant. 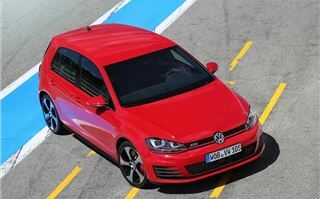 There are of course plenty of pretenders to the GTI's hot hatch crown and most have more power. Like the Ford Focus ST and Renaultsport Megane both of which produce 250PS and are cheaper to buy. 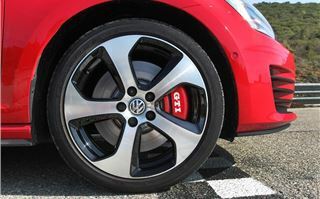 So not to be left behind Volkswagen has introduced a Performance Pack for the GTI which boosts power to 230PS and also includes uprated brakes and a limited slip front differential. It's the latter which makes the most difference. It's a new development which basically means traction from low speeds is markedly improved with the wheels able to transfer power cleanly down without the tyres scrabbling for grip. On the road you won't notice it that often, but having tested it on a race circuit, we can safely say it works incredibly effectively, especially when accelerating out of a slow corner. 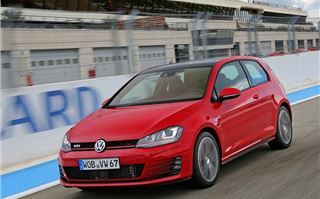 The Performance Pack costs an extra £980 but despite the extra power there's no real difference in 0-62mph performance. 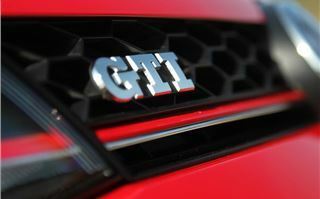 The standard GTI will get there in 6.5 seconds while the Performance version does it a smidge quicker in 6.4 seconds. Is it worth the extra? 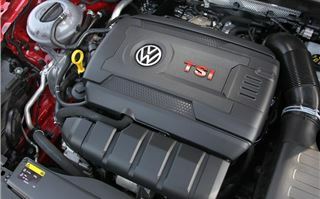 Well the 'standard' GTI is already so accomplished you could save your money, but if you're buying a GTI you may as well go for the extra pack, especially as it will make your car more desirable if you decide to sell in the future. Usefully there's no difference in economy either, both versions average a claimed 47.1mpg with emissions of just 139g/km. 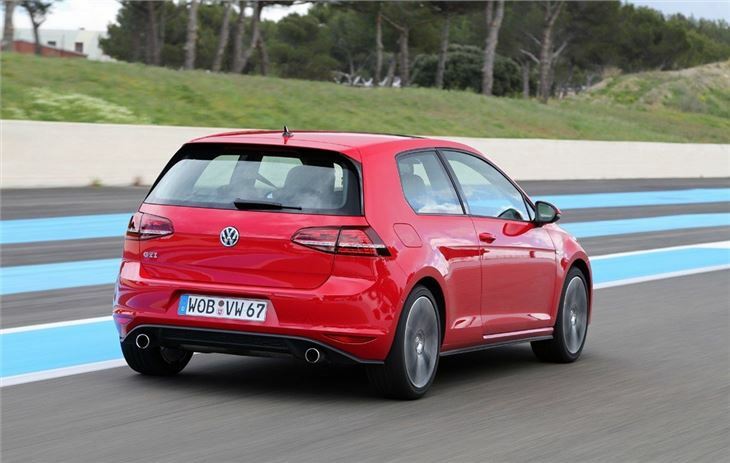 They're mightily impressive figures for a hot hatch and mean the GTI won't be expensive to run. 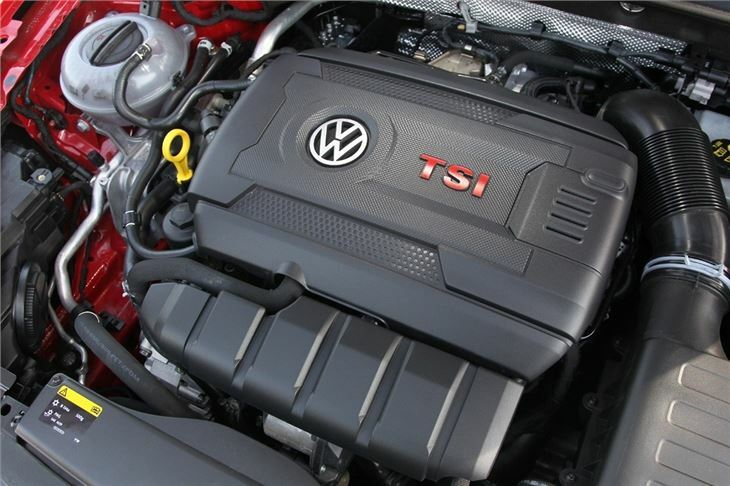 Even insurance has come down compared to the previous GTI and is now group 29E. 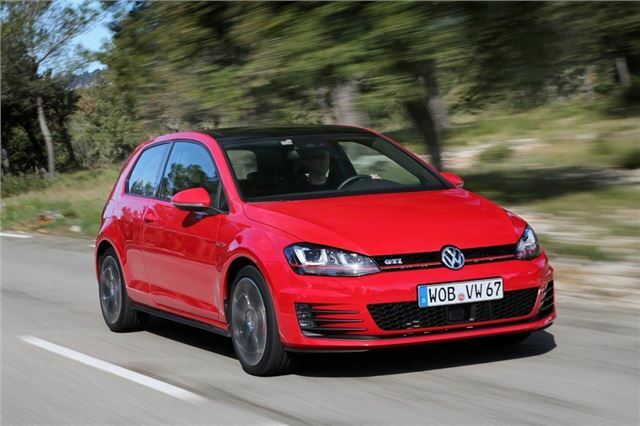 As an all round hot hatch, the Golf GTI is easily the best on the market. Sure, rival cars may have more power or be quicker accelerating in a straight line, but nothing can match the all round ability and combination of power and finesse that the GTI offers. It's a car that's going to tick a lot of hot hatch buyers boxes. 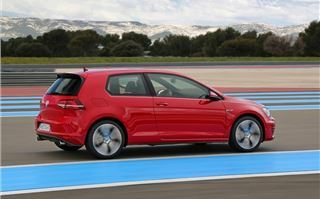 The GTI is available to order now with the first cars being delivered in July. 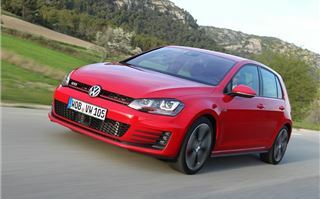 Prices start at £25,845 for the three-door GTI with the GTI Performance Pack costing from £26,825.